The Konica Minolta MagiColor 2300DL is a personal-use laser printer with network support and support for high-resolution color and black and white printing, setting it apart from some of its peers. It sacrifices expandability and capacity in favor of compactness, making it ideal for single-user applications with limited stress and throughput, though the printer is now seven years old and many superior low-end color laser printers exist, most of which would likely be a better long-term purchase. The printer measures a compact 14" by 19.7" by 15.4" and weighs 61.3 lbs, making it small enough to sit on most computer desks without much trouble. It has no additional trays or moving parts that extend beyond this. The 2300DL has a maximum resolution, in both black and white and in color, of 2400 by 2400 dpi, much better than many laser printers that don't go above 600 or 1200 dpi. However, some users have written that many more recent printers that have a maximum resolution of 600 dpi look better for both black and white and color applications. The printer can print to A5, Folio, Letter A, Statement, JIS B5, Legal, B5, A4, and Executive-sized media, as well as Monarch, International, Com-10, International DL, and International C5 envelopes. It also supports custom media sizes up to 8.5" by 14" as well as labels, transparencies, and postal card paper. Duplex printing is available as an add-on. The 2300DL includes 32MB of SDRAM expandable to a maximum of 288MB. The 2300DL features IEEE-1284 Parallel, 10/100Base-TX ethernet, and USB ports, ensuring compatibility with almost any legacy PC or newer system. This places the 2300DL at a distinct advantage over other models built in the early 2000s, which often still lacked USB support despite the movement away from legacy ports over the course of the decade. 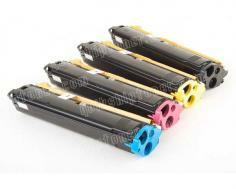 The printer prints up to 16 pages per minute in black and white and 4 pages per minute in color. While this may be satisfactory for personal use, this combined with its limited paper capacity almost completely disqualifies it from being a functional unit in almost any office environment in spite of its being networkable. Copying and scanning are not possible even with add-ons with the 2300 DL, requiring multiple devices for home or personal users who would otherwise need to copy and scan documents. 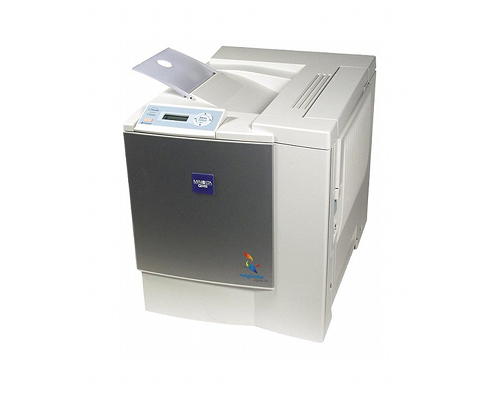 The 2300DL is rated at a maximum paper capacity of 200 sheets loaded into the back of the printer, though some users have reported that loading more than 150 sheets at a time leaves the printing prone to jamming. This is under half of a ream of paper and likely leaves the printer, combined with its slow print speeds, unsuitable for anything but personal and perhaps home network use in spite of the fact that the printer is easily networked. Some users complain about the printer's color quality being significantly inferior compared to its "good-to-excellent" black and white prints. The 2300's software reports page counts instead of toner levels when reporting its capacity, sometimes complaining that half-full cartridges are not usable. The printer has to be oriented in a specific way so as to leave its ports accessible whilst also making it possible to load paper, adding potential clutter and requiring cables to be exposed in order to make sure that the printer functions. Out of warranty, many users report that repairs often exceed the cost of replacing the unit, making it likely unfeasible as a long-term solution. It has been referred to as a "disposable" printer. 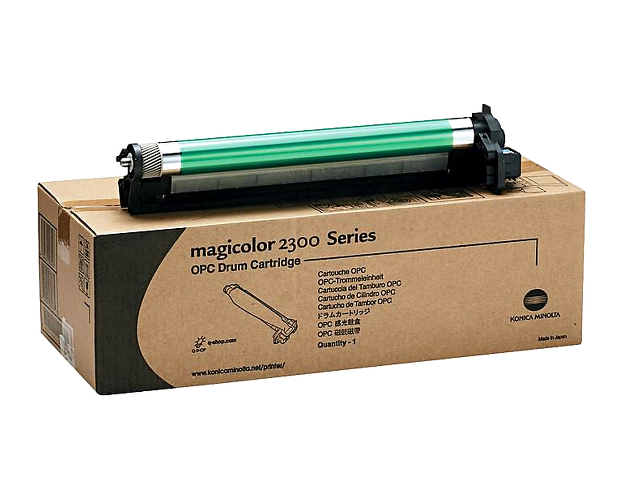 Review it: "Konica Minolta MagiColor 2300dl "
The 2300W requires four toner cartridges rated at 4500 pages at 5% coverage for black and white, cyan, magenta, and yellow. 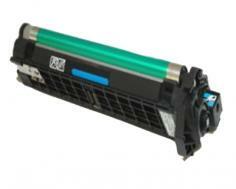 Each also has its own drum unit that requires replacing every 45000 pages at 5% coverage. This has the potential to bring down long-term replacement costs but will require additional maintenance in order to ensure maximum performance. Conveniently, drum replacement synchronizes with replacement of every ten cartridges, making it easy to coordinate replacements.